The structure of central dogma of molecular biology and innovation of classes of non-coding RNAs expose biological pathways concerned in disease. Study of posttranscriptional changes with vigour in both protein-coding and non-coding RNAs reveals a new complexity in gene regulation. Thus leading to 'Epitranscriptomics'. 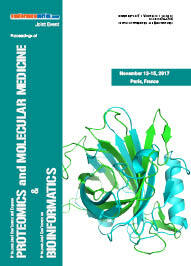 Organised with bioinformatics approaches and wet lab methodologies which support in the discovery of novel RNA modifications and description of their biological functions and identification of the molecular protagonists involved in the regulation of such phenomena which in turn provides a great impact in addressing the vulnerable questions and trials of this pioneering field. This field is gaining importance in various research fields like Neural Networks, Artificial Intelligence for developing algorithms. It is used in developing bioinformatics software and tools for drug designing, molecular simulations, drug discovery, molecular modelling and numerous biological databases. Subfields related to this topic are computational immunology, computational pharmacology, computational neuroscience, computational cancer biology etc. Bioinformatics and computational biology are interconnected disciplines allowing computational methods to analyse biological data and develop algorithms and analytical methods by acquiring knowledge from various disciplines like computer science, physics, statistics etc. It aims to develop and use efficient algorithms, data structures, visualization and communication tools with the goal of computer modelling of biological systems. Systems Biology approach harnesses the power of computation and systems-level analyses to formulate and solve critical biological problems. This integrative approach of systems biology will close the loop from individual genetics to populations, and constitute the strongest asset for the successful translation of systems biology findings to clinical applications. Systems Biology deals with data and models at many different scales, from individual molecules through to whole organisms. The Pan Genome considers the aspects of the “core genome” which represents in all the strains, “dispensable genome” also present in two or more strains and “unique genome” specified to single strains. The importance of the pan-genome turns up in an evolutionary framework, especially with relevance to Metagenomics, but is also used in an extensive genomics framework. The two types of Pan Genomes are Closed Pan Genome which has insufficient genes added per additional sequenced genome whereas Open pan Genome have sufficient genes added per additional sequenced genome. Biodiversity informatics though diverse but interrelated to Bioinformatics. It is a new discipline with hundreds of experts worldwide involved with the design and edifice of biology information system. Biodiversity informatics may also have to manage with supervision information from unidentified taxa that is produced by environmental sampling and sequencing of mixed-field samples. It is made on the basis of taxonomic, biogeographic and ecological information stockpiled in digital form using current computer techniques to yield novel ways to view and evaluate existing information. The computationally predicted DNA secondary structure maps could serve as a roadmap for experimentalists to target specific genomic regions while testing their hypotheses. The project will require both development of bioinformatics algorithms and experimental techniques to facilitate progress in this field. Thus, computational prediction remains the major tool to reveal genomic DNA regions with the potential to adopt non-B DNA structures. Biomedical informatics (BMI) is the interdisciplinary, scientific arena that educates and follows the effective customs of biomedical data, information, and information for precise survey, problem elucidating and resolution constructing, motivated by exertions to progress social health. Healthcare Informatics is the application of information technology and informatics to provide healthcare services. It is concerned with the use of information in health care by clinicians. 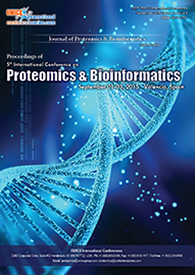 The analytical capability of bioinformatics podium united with clinical data from patient in Electronic Medical Reports can affirm potential biomarkers and clinical phenotypes that allow researchers to develop experimental strategies using selected patient. Moonlight acts as transcription factors, crystallins, chaperones, extracellular growth factors and cell surface adhesins. Variability of identified moonlight proteins where one protein will have several functions, the potential profits to the organism of linking two utilities in one protein, and the approaches recommended for a protein to develop a second function recommend that moonlighting proteins might be common. 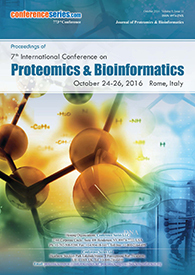 The research topics include many aspects of moonlighting proteins for examples proteins to moonlight, structures of moonlighting proteins, their protagonists in diseases, how they evolved, moonlighting proteins and proteomics, bioinformatics of moonlighting proteins, etc. Web assistance in bioinformatics provides interfaces that have been developed for an ample array of applications for bioinformatics. The main enhancement derived from the fact that end users do not have to deal with software and database preservation overheads. 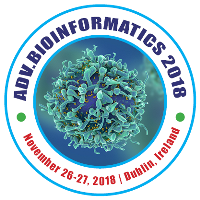 There are differing software predominant for bioinformatics like open-source, sequence alignment, healthcare, freeware molecular graphics systems, biomedical and molecular mechanics modelling. Biomedical Imaging is a long tactic to visualize biological tissues to improve health of the individual. It includes the development and presentation of new instruments and techniques in magnetic resonance imaging, ultrasound, computed tomography, positron emission tomography and optical imaging. It practices much more complex algorithms. The range of Bioinformatics extents the study of molecular data to quantify clinical, imaging and diagnostic data for custom-built medicine and healthcare. With rapid developments in gene therapy, genetic engineering, gene editing and drug discovery, the field of Bioinformatics provides a varied range of opportunities and career paths for engineers. 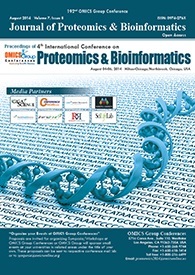 Protein bioinformatics focuses on understanding the sequence-structure-function relationship of proteins using the techniques in bioinformatics, biophysics and computational biology. It explains all aspects of proteins including sequence and structure analysis, prediction of protein structures, protein folding, protein stability, and protein interactions. With the advent of statistical techniques to infer protein contacts from multiple sequence alignments (which you can read more about here), accurate protein structure prediction in the absence of a template has become possible.